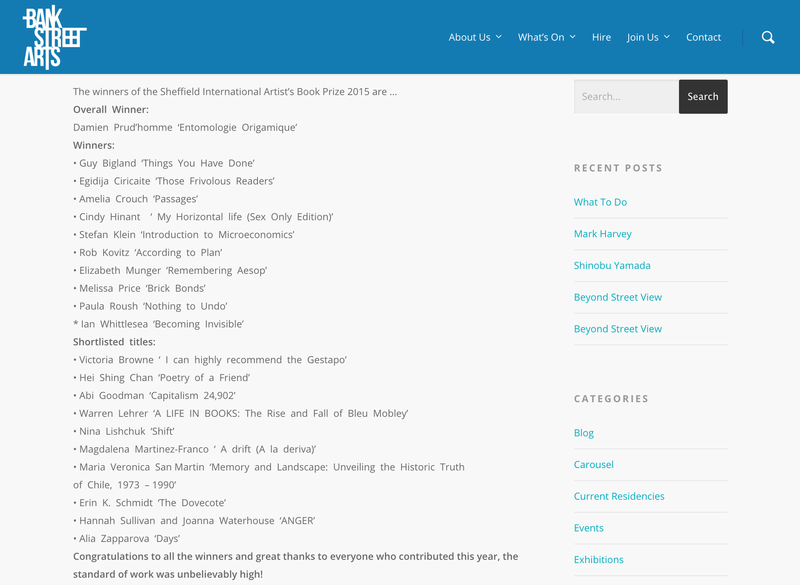 The Sheffield International Artist’s Book Prize is now in its fifth edition and since the first exhibition and Prize in 2008 it has grown to be one of the largest artist’s book prize in the world and a significant UK event in the artist’s book calendar. 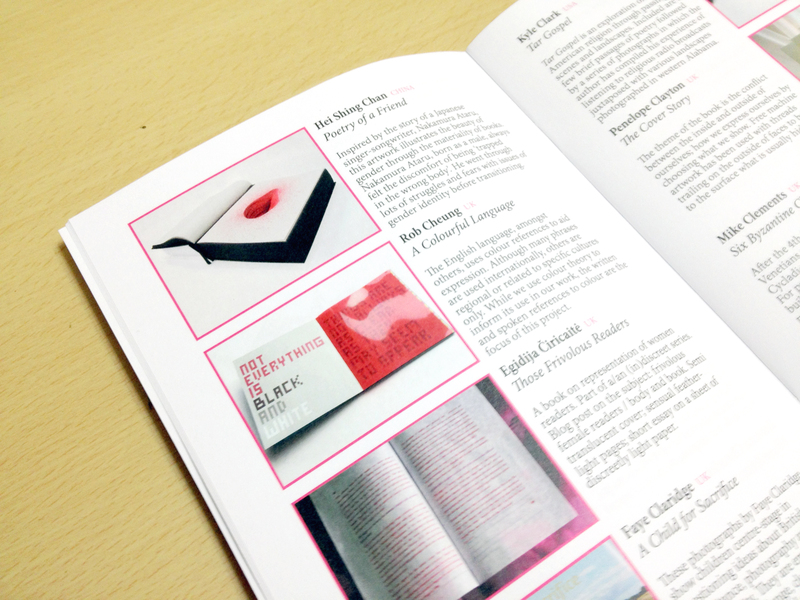 Opening up the Book has been built upon the success of the Prize and this year the exhibition includes exhibitors from more countries than ever before. For the first stage of the submission process, we received entries from forty five countries, with most being represented in the exhibition. For the first time this year we have selected from initial entries and the exhibition itself presents just over 200 books from an entry of nearly 400. 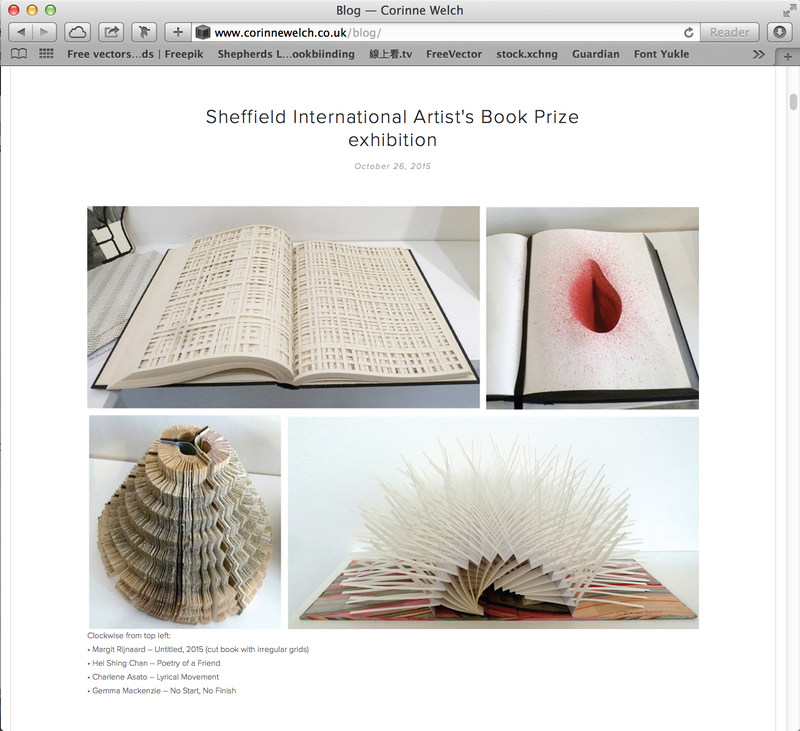 The winners of Sheffield International Artist’s Book Prize 2015 was announced.